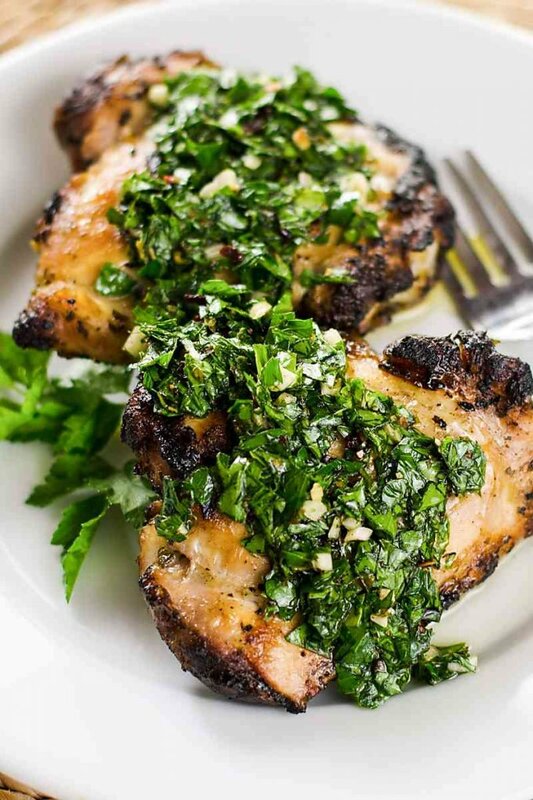 Chimichurri chicken is moist and delicious. See the Chimichurri Sauce recipe in this Cook'n Club Meal Plan. Coat the chicken in 1/3 cup chimichurri sauce, and marinate for at least 30 minutes. Preheat grill and grill chicken, skin side down for 6 - 8 minutes. Turn chicken over and grill 4 - 5 minutes, until internal temperature reaches 165 degrees. Serve with remaining chimichurri sauce.